In Russia, approximately 70% of drinking water comes from surface, while the rest comes from groundwater. Twenty-five per cent of the world’s fresh water is located in Russian territories. Unfortunately, water pollution is a major issue in this country, with more than 10 million Russians currently lacking access to quality drinking water. According to the Russian regulatory bodies, around 35 to 60% of total reserves of drinking water do not meet sanitary standards. This fact favors the proliferation of health issues in many cities and villages across the country, as only 8% of the wastewater is correctly treated before being returned to the waterways. The “Clean Water” program was officially launched in 2006, however this project has been revised several times without an agreement or conclusion. This program is based on three basic pillars: the change in legislation to enhance protection over the water resources, the promotion of the consumption of quality drinking water in the country, and the continuous scientific research on water treatment. 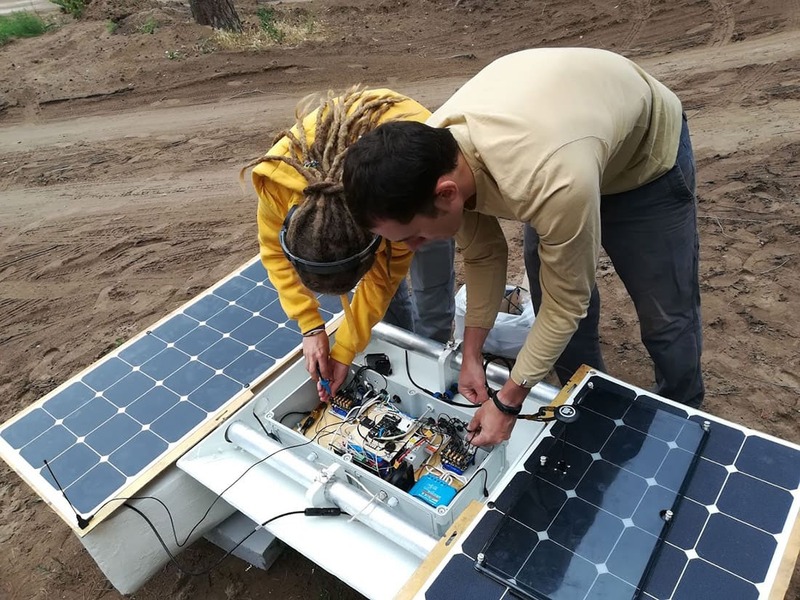 Airalab Rus, Smart IoT Distributions (Libelium’s distributor in Russia) and the Tolyatti State University have developed the project “Drone on the Volga” to measure water pollution in the Kuybyshev Reservoir, the largest water reservoir in Eurasia, located in the Volga river (in Samara Oblast). Airalab, non-profit organization and robotics research center, specialized in Smart Cities and Industry 4.0 projects in Russia, implements the open source software platform Robonomics for urban environment pollution monitoring projects with static and mobile sensors on flying and water surface drones. 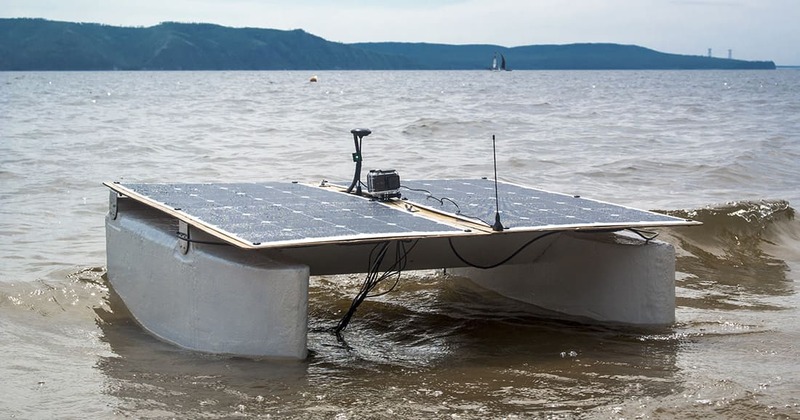 As the project “Drone on the Volga” required a fast prototyping platform for water pollution measurement with data processing, Tolyatti Solar Team designed a solar-and-battery-powered water drone able to navigate the reservoir measuring water quality parameters equipped with Libelium technology. As blockchain is a huge part of Airalab job, they focus on adopting decentralized technologies for smart cities and industry 4.0 projects, uniting new technologies to offer citizens an improved and enhanced quality of life. The omnipresent blockchain, appear in this project with the aim to obtain smart water information to provide to the stakeholders. A blockchain is typically managed by a peer-to-peer network collectively adhering to a protocol for inter-node communication and validating new blocks. Once recorded, this data cannot be altered without altering all the subsequent blocks, so historical data is immutable and any addition requires consensus of the network majority. Decentralized technologies such as blockchain can help with devices and data source identification, trustworthy data, transparency and openness, marketplace ecosystem, data-backed contracts and assets. “We work in a world of IoT and blockchain projects, from identification and data signature up to marketplace protocols, so we have made an open source Robonomics platform and offer engineering support for developers from the proof-of-concept phase until complete solutions”, highlights Alisher Khassanov, Chief Engineer of Airalab Rus. With this river project, the drone offers its services through a web application allowing any user to demand a service. Usually, the mission generates parameters such as position of the drone, movement speed, measured water quality parameters and other secondary requirements. The Robonomics network is used for communication with the robot. With it, the robot can offer its services and citizens or public employees can order them by making a cryptocurrency payment through the website. The Robonomics network is built on top of the Ethereum blockchain platform and IPFS protocol, which provide a record of the sensor measurements’ hash in a public blockchain and this way protect the historical data from possible falsification. The developer of the web app can implement the negotiation function between customer and executor to reach an agreement in terms of work conditions and price. Robonomics permits people and machines to negotiate in order to reach “smart agreements” on the Ethereum web without a centralized exchange. The flexibility and quick development time the Waspmote platform for prototyping. The completeness of the Libelium IoT Smart Water platform which allows the measurement of significant water pollutants at a reasonable cost. The parameters controlled by the devices in the Kuybyshev Reservoir were water temperature, pH, dissolved oxygen, water conductivity, ions of NH4+ and NO3-. Waspmote controller takes measurements during its trip across the reservoir while sending this information to an on-board computer via USB. The computer is responsible of sending the information to the system through Robonomics protocol (on top of IPFS and Ethereum) over 4G to make data public, immutable and connected with certain agreement in form of smart contract. This project, which hopes to demonstrate state-of-art technologies for continuous river water pollution at first stage, was able to show how blockchain technologies help to make trustworthy data and made an open decentralized market for drones services in smart cities. Airalab Rus confirms that their previous experience with Libelium’s hardware, good flexibility, radio compatibility and good reliability-price ratio were the main factors which motivated them to use Libelium technology in this case. “We need hardware flexibility and a fast software prototyping platform. In combination with trustworthy sensors hardware and fair price with such convenient flexible hardware platform, Libelium was our choice for “Drone on Volga” as well as others we are developing for urban environment monitoring. With Libelium, we have hardware modules that just works as they should, we can make a firmware in just a few hours for a use case and extend it with Arduino-compatible libraries if needed”, concludes Alisher Khassanov, Chief Engineer at Airalab Rus. 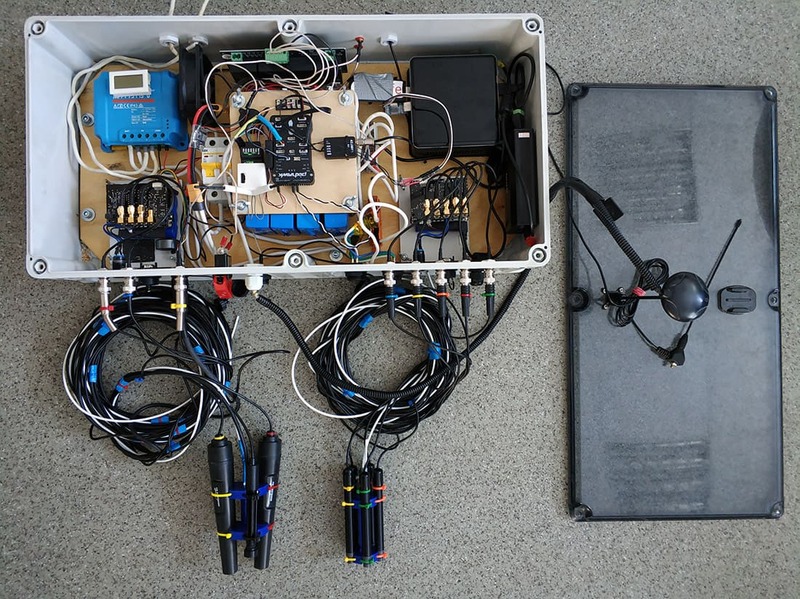 This project combines modern robotics, blockchain and the Internet of Things, demonstrating how the environment can be monitored and observed with no need of human interacting. 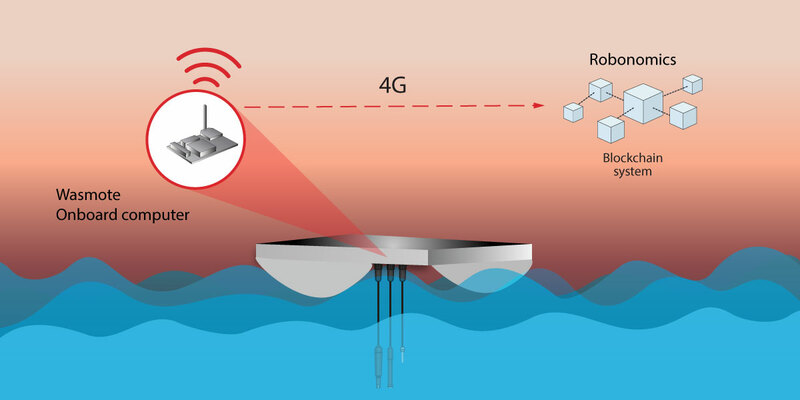 It can be the base for the creation of a continuous monitoring of pollutants in water environments. A matrix of data coming from many of these drones could feed AI systems which easily and quickly detect a source of pollution. Libelium pushes the Water Quality Market ahead with its new Smart Water Xtreme Monitoring Platform. Discover Smart Water Kits in The IoT Marketplace.